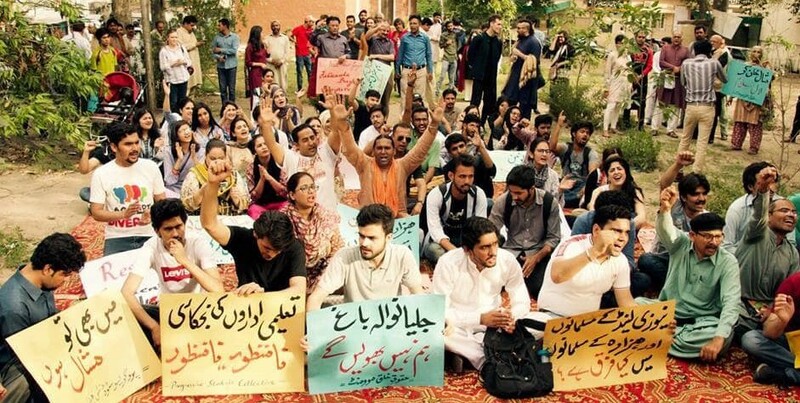 Rallies were held on April 13 in major cities of Pakistan for restoration of student unions, elimination of all forms of discrimination and violence and secularization of the curriculum to counter extremism, and hateful ideologies in educational institutes. Torch-bearing marches were also held Progressive political activists, academics, and students Saturday (April 13) to express solidarity with the families of those killed in Quetta’s Hazarganji fruit and vegetable market blast and that of Mashal Khan’s on the second death anniversary of the Khan Abdul Wali Khan University student who fell victim to bigotry and criminal conspiracy in Khyber-Pakhtunkhwa. Mashal, a bright mind, was brutally killed after lynching by a frenzied mob in his alma mater in 2017 on false charges of blasphemy. Some of the culprits involved in the gruesome act were recently sentenced to death and life terms in jail by an anti-terrorism court. But some of the 25 accused nominated in the case were freed. Rallies were also held against religious extremism and state failure in stemming rising tide of extremism and frequent targeting of Hazara ethnic minority in Quetta. In a bomb blast in Quetta, over 25 people mostly belonging to Hazara community, shopkeepers, and a paramilitary soldier were killed on Friday. Rallies were organised by Progressive Students Federation, Progressive Students Collective and others in Islamabad, Lahore, Karachi and Quetta against carnage of Hazaras at Quetta and 10 years of Jallianwal massacres by British colonial rulers in Amritsar in 1919. 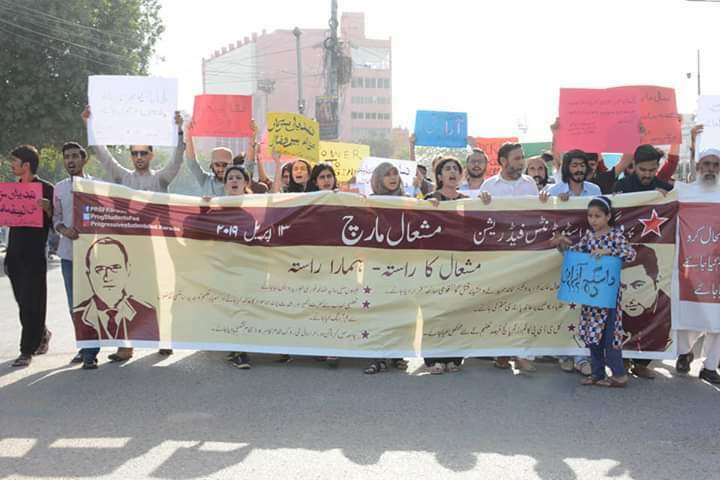 Islamabad: A large number of students and activists led by the Progressive Students Federation (PrSF) gathered in honour of Mashal Khan and marched in front of the National Press Club in Islamabad to mark two years since his brutal lynching that resulted in his death. The marchers called for the immediate restoration of student unions, elimination of all forms of discrimination on campus, and secularising the curriculum to counter the spread of hateful ideologies in schools, colleges and universities throughout the country. The marchers also condemned Friday’s attack in Quetta that targeted the Hazara community. Speakers at the event recalled the tragic manner in which Mashal had been silenced by a mob on completely false charges which highlighted the manner in which extremist ideologies that have been nurtured by the deep state to further its own interests were fundamentally altering our society which is also evident in sectarian acts of terror against minorities including the Friday’s attack on the Hazara community. 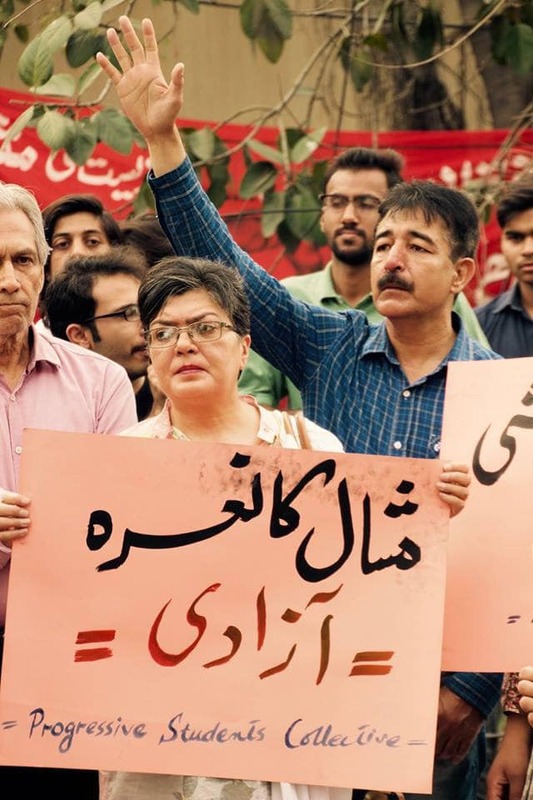 The march also prominently featured members of the Awami Workers Party (AWP), students from Quaid-i-Azam University, National Institute of Science and Technology, International Islamic University, and Comsats, as well as various civil society activists. PRSF’s Aunil Muntazir addressed the marchers by stating that it was most unfortunate that the Pakistan Tehreek-i-Insaf (PTI) had supposedly come to power through its overwhelming support amongst the youth, a segment which constitutes 65% of the country’s population, but was unwilling to take any policy steps to address their problems. “Friday’s newspaper had a report that the government is expected to cut HEC’s budgetary grant to Rs59 billion against a demand of Rs103 billion, which will devastate the already overstretched capacities of the 117 public sector universities in this country. Furthermore, it seems as if the government’s austerity measures will impact every sector and department apart from our already unsustainable defence expenditures which will be increased”. Aunil also called on the government to immediately reverse its decision to initiate fee hikes in universities. Alia stressed the need for all concerned about the state of this country to understand that the failure to mobilise effective resistance against extremism, militarisation and neoliberalism stemmed from the void created by the absence of student unions and weak trade unions. Alia added that the neoliberal assault on education had a deeply gendered impact since generally parents prefer to send boys to the more expensive schools are opposed to their female siblings, which is evident in the skewed enrolment ratios in elite private schools. 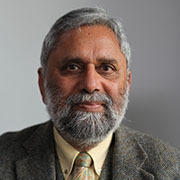 Danish Yaseen of PRSF highlighted that, “the country’s political leaders will continue to disappoint in absence of meaningful training through student unions which were first suspended in 1984 by the Zia regime, restored briefly during Benazir Bhutto’s first stint in office before being suspended once again in 1993 following a Supreme Court ruling that needs to be immediately revisited since the ban on student unions contravenes Article 17, freedom of association, in the constitution”. A student of the Quaid-i-Azam University, Ms. Mahreen, addressed the march by stressing the need to confront gender discrimination in universities. She added that, “the manner in which universities have different hostel timings and dress codes for male and female students is blatantly discriminatory and this institutionalized patriarchy must be put to an end”. 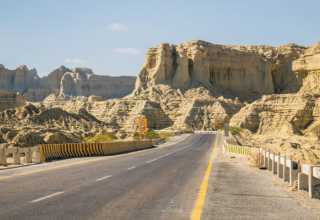 Researcher and AWP organizer Ammar Rashid said that, “religious sectarianism and extremism is rapidly spreading in Pakistan which is clearly evident in the yesterday’s deadly attack in Quetta on the Hazara community. To further their own interests the military and civil rulers have stuffed the educational curriculum with discriminatory ideologies. They have also managed to separate students and working classes from collective organizing and politics, critically hurting the emergence of leadership for mass and working classes in this country. 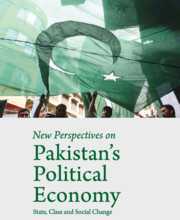 In order to establish peace and prosperity in Pakistan, the education system has to be torn from its roots and revolutionized so that students and youngsters are allowed to critically raise questions, dissent and organize so that we are able to collectively come up with strategies to resolve our socio-economic problems”. 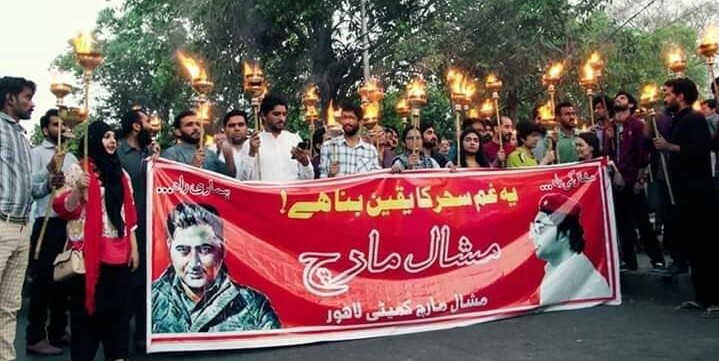 LAHORE: The participants of Mashal March gathered at Shimla Chouck Lahore. The event was organised by Mashaal Khan committee, a loose network of different youth and student groups and left wing activists. A minute’s silence was observed in memory of those Hazaras killed in Quetta. A procession was taken out later around Shimla Pehari Chouck. They chanted slogans like, “long live revolution”, “We are all Mashaal Khan”, “Stop killing Hazaras,” “We will not forget the martyrs of Jillianwala Bagh”, “No to religious fanaticism”, “Govt must break all relations with religious fanatic groups”. 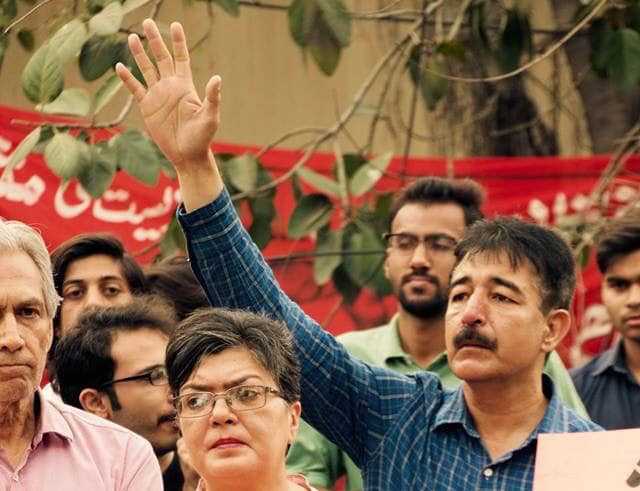 Earlier speaking on the occasion, Farooq Tariq spokesperson Awami Workers Party said that we are here to tell those fanatics who lynched Mashal Khan to death that he is not forgotten and he has become a symbol of struggle and sacrifices all over the world. He said that religious fanatics are like neo fascist and they believe in the philosophy of physically eliminating the opponents. Taliban have claimed the responsibility of yesterday suicidal attack in Quetta, yet the PTI government is assisting them for negotiations between Afghanistan, US and Taliban. Talks will fail as Taliban are not democratic force. Farooq Tariq said that remembering the Jalianwala Bagh martyrs on the occasion of 100 year of the most barbaric incident was absolute necessary on Lahore. 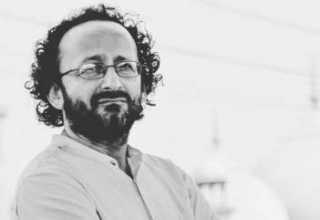 Senior journalist and analyst Imtiaz Alam said that Jallianwala Bagh massacre was the most barbaric act of the British imperialism against the mass movement for independence and civic rights. The rebellious overtones in Punjab were palpable weeks before the day of Baisakhi congregation at Jallianwala. He said that defiant speeches were delivered against the imperialist atrocities, deportations of revolutionaries, price hike and firing on protesters. He said that General Dyre was bent to crush the rebellious mood, the killing of over 500 hundered innocent protesters by direct firing exposed the real face of the British colonialists. Raza Gilani said that we are protesting today not just to seek an apology from British Imperialism but to educate our youth about the real history of ordinary working people of Indian subcontinent who sacrificed their lives for our freedom and to expose the real face of British imperialism. 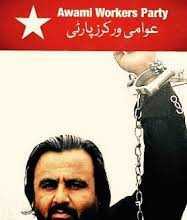 Laal Hartaal and Azad Fankaar groups presented street play to remember Mashaal Khan.